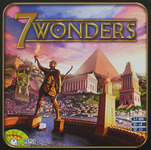 Everyone is predicting that 7 Wonders will win this one, and for good reason – it’s that good. 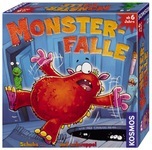 As a reminder – it’s the only game that was voted higher than Train of Thought at BGG.con last year! I’ve played Forbidden Island once, and though it’s a rework of Matt Leacock’s Pandemic, I do think I like it more as it feels more streamlined. 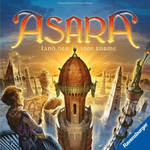 I just picked up Asara yesterday and now am even more excited to play it! I haven’t played Qwirkle, but have seen it around. 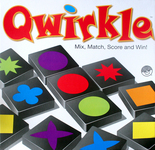 I’m not sure how Qwirkle qualifies as this game came out in 2006..? 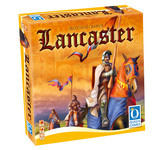 I predict Asara will win this one (I really love Wolfgang Kramer and Michael Kiesling games!). 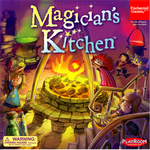 So far we’ve been regaling you with tales of our experiences in getting a board game published. While we still have a few more steps in the actual process to divulge to you all, I’ll be taking a few side steps on this blog to tell you about another project I’m working on: getting a comic book published. Tim Reinert, who’s responsible for writing a fascinating blog about comics and movies (and music I think) at Four Colours and the Truth, and I have been writing comic book scripts for the past 6 months. 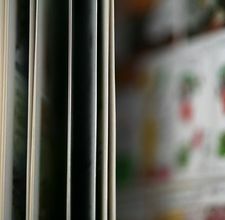 Whereas our post have so far been about our actual experiences that got us published in the board game world, the posts about the comic book world will be more about our process of trying to get published. So looking back over the Steps to Publication, I can say that steps 1-4 are the same for comic books. Step 1: Read a lot of comics. This is tip number one for a reason. You have to be familiar with what works in the medium that you’re creating in, so just like a board game designer should play a lot of board games then so too should a comic book writer read a lot of comic books. It will also give you an idea of what’s been done before and what’s selling/working right now on the stands. This is a passion for both Tim and I, so we’ve got this one in the bag. My reading tends to be almost anything that’s not superhero. That is, until I met Tim. Tim reads everything. Everything! His knowledge of superheroes is second only to Mr. Stan Lee himself. Then add to that his love for indie comics and you’ve got yourself a well-rounded bunch of comic readers! 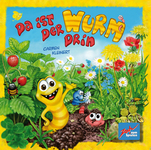 So if you’re planning on making board games, play games; writing comics, read comics; painting pictures, see a lot of art; making music, listen to a lot of music…etc..! Step 2: Motivation. Same as in the board game Step 2 – staying motivated is key to success. I took what I learned with my board game designer buddy, Sen, and sought out Tim as a partner to work together with on writing comics. I personally find that I am more motivated when there’s another cook in the kitchen. We’re even piggy-backing the same forum that Sen and I use to communicate on board games, to keep track of our comic book ideas. Fortunately, Tim lives down the street from me, so it’s not as challenging as it is with Sen to get together to write! Step 3: Versatility. We love all kinds of comics, and we want to write all kinds of comic stories. Our one main mantra is to ensure we’re taking advantage of the medium, meaning that we want to tell stories that can only be done in comics. So far we’ve written a fun adventure tale, a quiet noir story, a time travel story and even a superhero story. If one doesn’t light the world on fire, then we’ve got 5 more ideas ready to go! Step 4: Persistence. So far we’ve been quietly writing away, and tweaking our scripts for the past 6 months or so. We’re just at the beginning of our journey, but if there’s anything I learned from board game designing it’s that if you believe in yourself, then you have to stay in it for the long haul. So this blog will now bounce back and forth with updates on our board game progress (Sen and me) and news on how we’re proceeding with our comic book aspirations (Tim and me). Enjoy! Semi-Finalists in the Canadian Game Design Contest! Sen and I made it into the Semi-Finals for the Canadian Game Design Contest with our game, Akrotiri! This is the second year in a row where we made it into the Semi-Finals for this contest, with Jam Slam making it in last year (and ultimately not winning). The next step is to make two prototypes and mail them off so they can play them! So far everything has been based on just the rule book.